If you’ve searched anything on Google today, you have a lot of company. Google handles 3.5 billion searches every day. That’s 1.2 trillion searches a year! Every business owner wants (or should want) his company to show up in those search results. Not only do you want your business to show up, but you also want it to show up high, like on the first page of Google. 92% of searchers will choose businesses on the first page of their search results. Making that happen is at the heart of Search Engine Optimization (SEO). If you’re asking, what is SEO, read on for a beginner’s guide to understanding the concept and why it’s important. Search Engine Optimization is a process designed to improve your company’s ranking or visibility in search results. When someone searches Google or Yahoo for “hiking boots”, you want your hiking boots company to show up on the first page of the results. 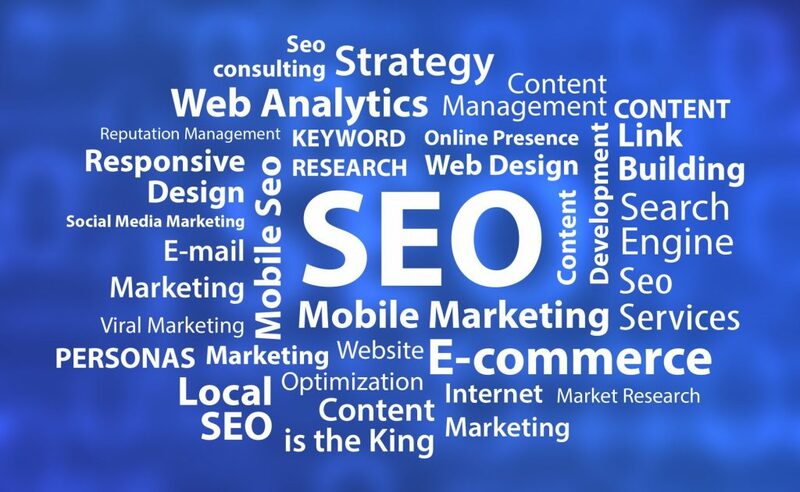 SEO is all about helping search engines understand your business and recognize it as a provider of reputable products and services. It sounds obvious, but to show up in online search results, your business needs to be online. So, start with a quality website. You can build one yourself or hire a web designer to do it for you. After you’ve created your website, you want to make it easy for the search engines to find it and rank it well. This process falls into two categories: on-page and off-page SEO. On-page SEO involves all the technical parts of your website that you can control. You want to make sure it’s organized well with a menu that’s easily understood and used by your site visitors. People should be able to find your services and your contact information without a lot of effort. Your site should load quickly, ideally within two or three seconds. You can find more information about the technical side of SEO on our blog. Off-page SEO involves factors that you don’t have total control over. It can include things like links to your site from another one. It’s important because these back-links are one way that search engines recognize a site as an authority. The more authority a search engine is perceived, the higher the site will rank. You can tackle these techniques yourself if you’re prepared to spend time reading articles or even taking online courses. You may decide to hire an SEO agency to handle it for you. Creating and optimizing content is the most effective way to improve your search results. You can do this in a number of ways, including writing a blog for your website. Even Google says creating compelling and useful content will likely influence your website ranking. This happens when visitors view and engage with your content through your blog, your social media sites or your email newsletters. Visitors are more likely to share content that’s helpful, and shared content helps your search engine ranks. The most important thing to remember about SEO is that it takes time. It takes time to learn the science behind it, and it takes time for all your hard work to pay off. If you want to learn more about what is SEO, please check out these free resources.